Restoring the intentional design of people, families, & businesses. Founded in 1999, by Organizing Expert Vicki Norris, Restoring Order began as a Portland, Oregon professional organizing company and now serves a national clientele who want to take back their life. For nearly 2 decades, we’ve grown into our destiny: a unique community of Order Restorers offering restorative consulting services, learning opportunities and products. From regional morning television segments on More Good Day Oregon, to HGTV’s Mission: Organization, I love sharing order to audiences across America! Find my media library on YouTube! 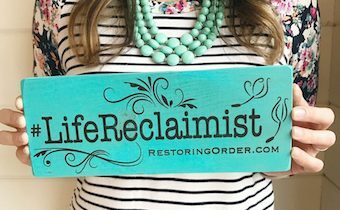 Vicki Norris’ Restoring Order is a lifestyle company helping people take back their overwhelmed lives in their household, work, health, and spirit. We are pioneering a MOVEMENT of Life Reclaimists™ who are taking back their lives from this upside-down world and restoring their quality of life. If you’re tired of living with less than your destiny in any area of life, JOIN THE MOVEMENT! 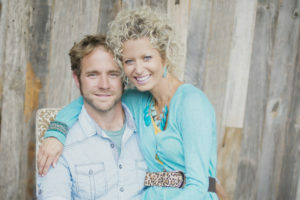 Are you tired of being overwhelmed and living out-of-order? Could your home, work, health, and spirit use a BOOST? 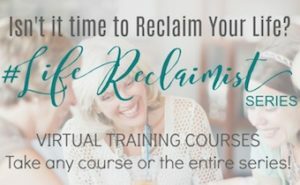 Reclaim Your Life with the #LifeReclaimist 4-part E-course Video Training series! Take one course or all four and learn how to Reclaim Your Household, Reclaim Your Work, Reclaim Your Health, and Reclaim Your Spirit in these video and worksheet downloads that will take you step-by-step through each area of life and guide you to living the life you were meant to live!